In its final Medicaid spending report, the Obama administration conceded that Medicaid enrollment growth and spending could deplete other federal programs. Both states and the federal government are spending more to cover more people that became eligible for coverage under the Affordable Care Act. While this recent report doesn't outline the biggest spending hikes in recent years, it does warn that increased spending could cause collateral damage. Medicaid expenditures for both the states and federal government grew 4.3% to $575.9 billion in 2016 and federal Medicaid spending grew 4.5% to $363.4 billion for the program to cover low income and disabled people, according to a CMS report posted Monday (PDF). 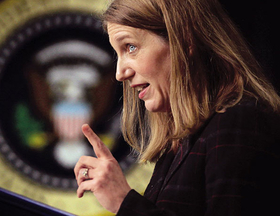 The analysis takes place once a year and was completed for this cycle under then-HHS Secretary Sylvia Mathews Burwell. The admission comes as GOP lawmakers and the nominee for HHS secretary look for ways to cut spending in the program. Two Capitol Hill hearings on the matter take place this week. An estimated 11.2 million newly eligible adult enrollees were covered under expanded Medicaid eligibility in 2016, and enrollment is projected to increase at an average annual rate of 1.5% over the next 10 years and to reach 81.6 million in 2025, up about 13% from just over 72 million in 2016. From this year forward, enrollment and expenditures are expected to steadily increase, with total Medicaid expenditures growing to a projected $957.5 billion by 2025. The projected annual average growth rate of Medicaid expenditures from 2016 to 2025 is 5.7%, which is “notably faster than the projection of average annual GDP growth of 4.8% over the same period,” the report stated. The report says that these spikes could "displace spending on other important programs, or additional taxes or other revenue sources could be required to fund Medicaid." The report did not outline what could be cut. But, historically, education has been a program that has faced cuts when budgets are tightened. On Tuesday, the House Energy and Commerce Committee will host a hearing on how to better oversee the program, followed by another hearing Wednesday on how to “prioritize the most vulnerable” when determining the future of the program. A popular idea being floated around the Hill is to turn Medicaid into a block grant or impose a per capita cap on the program. The repeal of the ACA, currently underway in Congress, would also do away with the expansion of Medicaid that gave states the option to raise eligibility of the program to 138% of the federal poverty level. Neither idea is formally analyzed in the Obama report, however it was revealed that total Medicaid expenditures for the new adult enrollees were estimated to be $66.2 billion in 2016 and are projected to reach $103.4 billion by 2025. By 2025, the expansion states are projected to pay $10.3 billion of the costs for newly eligible adults. HHS secretary nominee U.S. Rep. Tom Price, an orthopedic surgeon from Georgia, put forward his ideas on reforming Medicaid in legislation he introduced last year meant to replace the ACA. Price suggested people could opt out of Medicaid and receive a tax credit to buy an individual plan. Price likely would encourage states to seek waivers for using Medicaid and other federal healthcare dollars their own way. Governors in expansion states, including Republican governors, say they've seen improvements in health and would like to maintain expanded eligibility. Patient advocates say block grants would lead states to tighten their Medicaid budgets which could result in benefits being cut. This report, isn't good for championing their stance, however. “The case for block-granting it has never been stronger,” said Dean Clancy, a policy consultant at Adams Auld and a former senior health policy adviser to congressional Republicans and the George W. Bush administration.